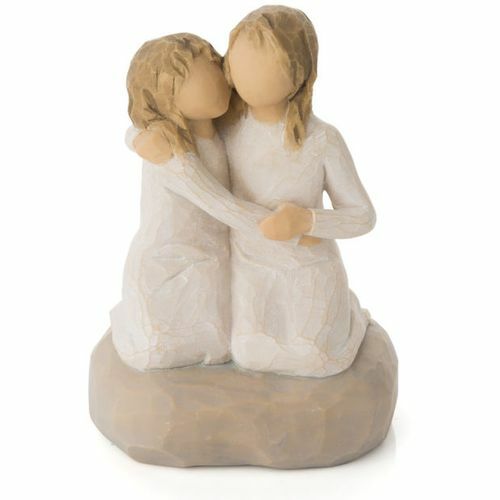 Message on the card inside reads: "Nothing comes close to the closeness of sisters"
Willow Tree is an intimate line of figurative sculptures representing sentiments of love, closeness, healing, courage, hope...all the emotions we encounter in life. 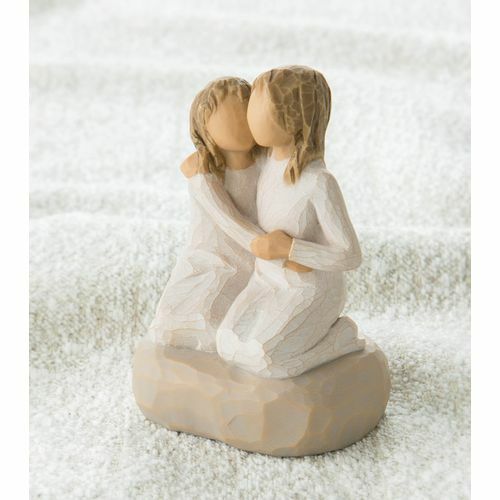 This iconic figure of peace and serenity is a tangible reminder of healing, comfort, hopefulness and remembrance in times of sorrow. "I hope my granddaughters develop the closeness that Ive always enjoyed with my two sisters. Theres nothing like the love of a sister. It grows out of a shared history of funny, stormy, trying, joyful experiences...creating the foundation on which every strong relationship is built." - Susan Lordi.